Panama is celebrating the 100th anniversary of the opening of the Panama Canal this week. 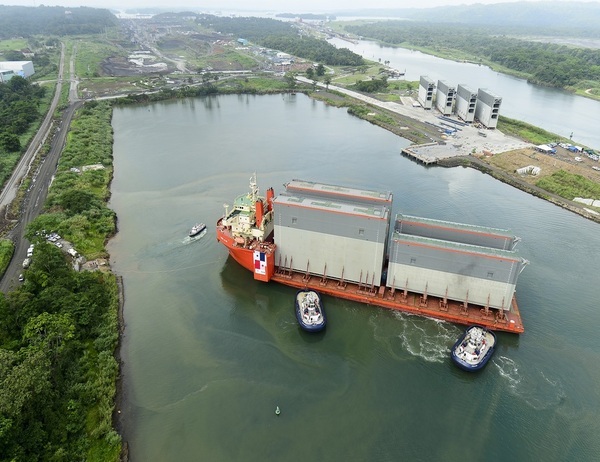 In the midst of an expansion that is to see a near tripling of the number of containers cargo ships can carry through the 48-mile (77-km) historic waterway, the head of the Panama Canal Authority (PCA) warned that it may have to limit the draft of ships transiting the canal as early as 2015 if a drought continues. The ongoing drought is lowering the water level of the Alajuela and Gatun lakes that feed the Panama Canal’s locks. Water levels in both lakes have dropped as a result of unusually light rainfall. Last November’s rainfall was a record low in the Panama Canal’s 100-year history, PCA’s Jorge Luis Quintano was paraphrased in an AP news report. Counted among the seven modern wonders of the world , the Panama Canal took 35 years to build. Opened in August, 1914, around 5 percent of world maritime trade makes its way through the historic waterway. An average of 38-40 ships a day transit the canal, which links the Pacific Ocean to the Caribbean Sea and Atlantic. The transit typically takes between 20-30 hours. The Panama Canal is the single biggest contributor to Panama’s $36.25 billion economy, yielding an estimated $1 billion of profit per year. The lack of public transparency and accountability as to where those profits go has been a longstanding source of discontent for many Panamanians. 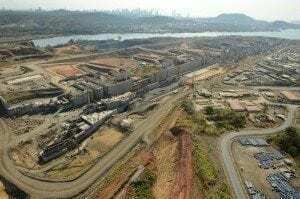 Celebrating the Panama Canal Centenary, Panama’s government is staging a Centennial Gala for 2,000 guests August 15, a list that includes international shipping company owners, builders, insurers and other industry participants. Originally scheduled to be completed in time for the centenary, the Panama Canal expansion has been delayed by a dispute between the Panamanian government and the group of European contractors – Grupos Unidos por el Canal (GUPC) – carrying out the expansion. The cost of work completed to date amounts to some $6.5 billion, Newsweek reported recently. 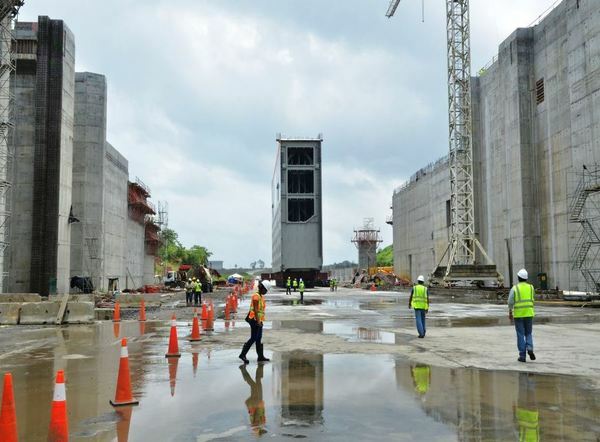 Around 75 percent complete as of the end of June, Panama’s government took the contractors group to task over cost overruns of as much as 50 percent on cement contracts. The PCA on August 1 announced that it had reached an agreement with GUPC for the completion of a new, third set of locks. That doesn’t include payment for the aforementioned cost overruns or claims. An arbitration process to resolve the $1.6 billion dispute over cost overruns began in Miami July 21. An international panel of judges is to review the case claim by claim and issue a decision. The Panama Canal is not only a landmark in terms of maritime transit, but in terms of environmental protections associated with a massive infrastructure development. As far back as the early 1900s, environmental safeguards were put in place to protect the profusion of wildlife and tropical forest that border the canal zone. Strict water resource management has assured that the Panama Canal watershed continues to supply clean drinking water for some 1.2 million residents living in the Panama City metro area. In 2013, drought conditions curtailed hydroelectric power generation and water usage in Panama. Hydroelectric power makes up over half the country’s power supply, BBC News reported. Declaring a drought emergency across one-third of the country, the Panamanian government enacted water rationing practices that included ordering schools and government offices to reduce their operating hours. It also required “bars, nightclubs, cinemas and supermarkets” to close between 10 pm and 6 am from Mondays through Thursdays and businesses turn off their air conditioning between 11 am and 3 pm.